Meet Xeinok. With 9,400 Steam achievements under his belt, Xeinok is one of the best achievement hunters in the entire world, ranking at number one in the U.S.
“I’ve been doing it for about four years,” Xeinok says. At least, that’s how long he’s been doing it officially. Xeinok says that growing up he was always the completionist sort, the sort of kid who would go through the trouble of getting every single honeycomb in, say, Banjo Kazooie. Turning into an achievement hunter later in life is kind of perfect. “I get this nice sense of freedom from it, by having a more goal-oriented form of gaming,” Xeinok says. A PC gamer at heart, Xeinok says that he feels intimidated by the staggering number of games available on Steam. Luckily, achievement hunting helps him cope with the choice paralysis. Achievement hunting helps him cope with the choice paralysis. “I hated how me and my friends, we would sit on Teamspeak or Mumble, and we were trapped in this tyranny of choice, kinda perma-hesitation mode,” Xeinok said. “We’d always be like, hey do you guys wanna play X game, Y game, Z game? And there’s so so many games on Steam nowadays, and it just gets worse every month. We wanted to play all of them. Getting to this point wasn’t easy, however. I spoke to Xeinok over Skype last week, where he took the time to tell me about the achievements that drove him nuts. Unlike ordinary achievements, these challenges tested the limits of him and his friends. Below, you can read some of Xeinok’s best war stories as an achievement hunter on Steam. 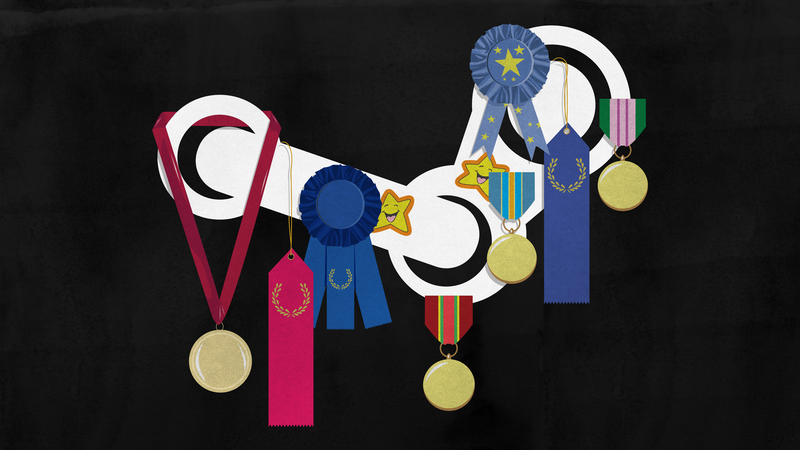 While most games come packed with achievements, every achievement is not made equal. The achievement hunting community uses a formula based on how many people own the game, versus how many people have actually played the game and gotten at least one achievement. From there, they calculate the rarity of the achievements, and use the Steam API to determine a weighted point value for each achievement. Take a game like Team Fortress 2, for example. Tons of people have played that game, which would make you think getting achievements for it wouldn’t be worthwhile—but it’s the opposite. There’s one TF2 achievement that requires you to destroy 1 million enemies. Only 78 people have it, so it’s worth 100 points within the achievement hunting system. “It creates a weird situation,” Xeinok said. “Dark Souls is popularly known as a pretty tough game, but it’s actually worth very little. Dark Souls, in its entirety, is only worth 170 points.” Thing is, people who play Dark Souls tend to actually beat Dark Souls—which drives the value of a Dark Souls achievement down, ironically enough. “The stuff that I like to target are these big-name games that a lot of people try out but don’t take all the way,” Xeinok said. Achievement hunters have their own digital white whale, and for Xeinok, it manifested itself in a most unusual form. Xeinok started using a timer, which would remind him to take the quiz every hour. It still took hundreds of attempts over the course of months. The funny thing is, getting an achievement like that isn’t much of a relief—it just means Xeinok can move on to a new white whale. And right now, that’s La Mulana, a cryptic archaeological exploration game that’s evaded him for a while. Xeinok noted that, though their aims are different, there is actually a lot of crossover between achievement hunters and speedrunners. Makes sense, too—a common type of achievement challenges the player to beat a game in a certain timeframe. “This game Frozen Synapse had an achievement that required you to beat this certain developer in a real match in the game,” Xeinok said. Achievements like this aren’t unusual; many games have them. But Xeinok came to the game a couple of years later after release, when almost nobody was playing it. But instead of giving up on this achievement, Xeinok got creative. “For whatever reason, I wanted this one, so I thought out of the box and I composed a personal poem for [the developer],” Xeinok said. “I emailed it to their company, and they replied! They were like, nice poem. Can an achievement hunter actually turn that part of their brain off and just enjoy a game on its own? “My friends who aren’t achievement hunters would tell you ‘hell no, he doesn’t play anything anymore!” Xeinok joked. Xeinok admitted that playing a game purely recreationally can be difficult, as he always makes sure to at least look at the achievements first. Even when he plays things outside of Steam, like World of Warcraft, he still achievement hunts. “I’m sitting at number one in the US, and it feels like everybody’s coming at you, always,” Xeinok said. “You really have to defend your spot if you’re competing on the leaderboards, so if you go away for too long, someone could overtake you.